More than two years of work on the restoration and preservation of Jewish heritage in Šeduva were marked in a private ceremony at the town’s recently restored Jewish cemetery (Žvejų gatvė). More than 400 tombstones have been identified and more than 1,300 have been either painstakingly restored or preserved in a tribute to the lives of the thousands of Jews that once comprised the majority of this Lithuanian shtetl. “Murderers could not kill our memory. We are back because our memory is stronger than their bullets. 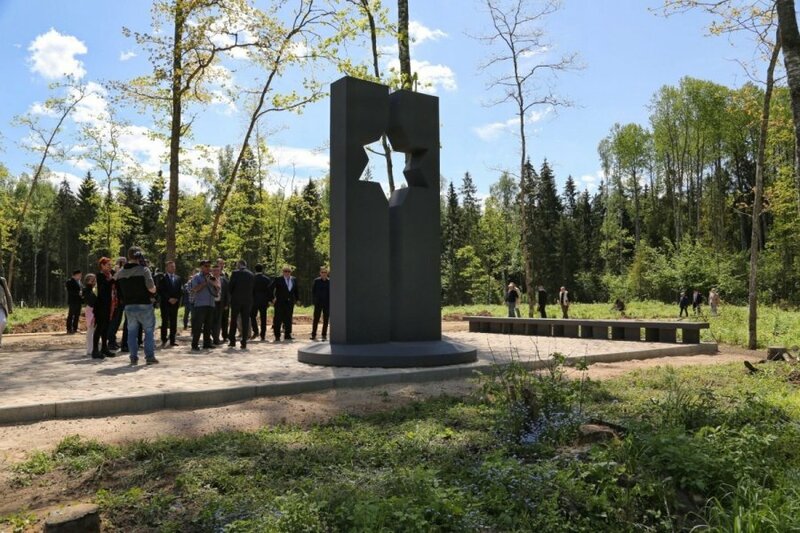 And memory will always prevail,” noted Sergey Kanovich, the Vilnius-born author and Litvak who leads the project, funded by the Šeduva Jewish Memorial Fund. Kanovich spoke these words at one of the three sites in the vicinity of Šeduva where, in the summer of 1941, local Jews were taken to be killed by Nazis and their Lithuanian accomplices. Newly-commissioned monuments by Lithuanian sculptor Romas Kvintas and surrounding spaces for reflection will now mark the sites. The restoration of the cemetery and dedication of monuments marks the completion of what is only the first phase in the development of a larger complex that will commemorate Jewish Lithuanian heritage. “Our first and primary aim is to memorialize the lives and deaths of Šeduva Jews,” says Kanovich. “But what happened here was no different from what happened throughout Lithuania—once home to more than 200,000 Litvaks, as the Jews of the historic Grand Duchy of Lithuania were called.” Almost all of them perished during the Holocaust. “It is time Lithuania rediscovered the rich past and culture of its Litvaks. It is time to comprehend Jewish heritage as more than a problem. It is an asset and an inseparable part of the history of Lithuania,” notes Kanovich. 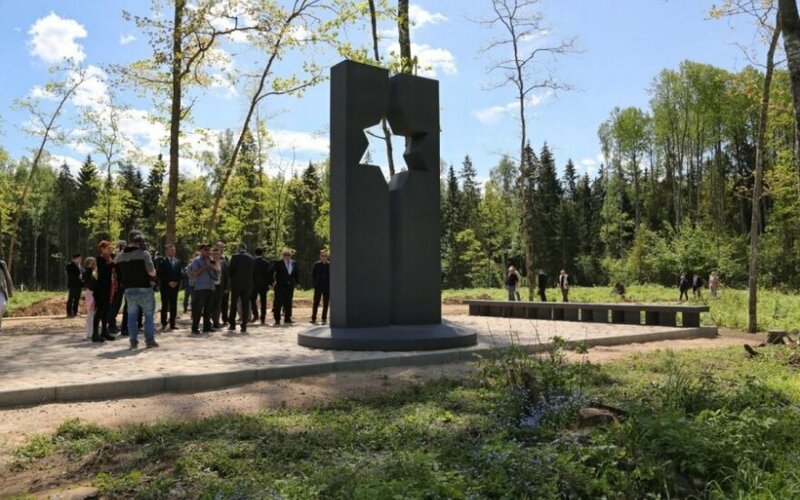 Organizers and local officials are confident that the site, easily accessible from the main highway linking Panevėžys and Šiauliai, will become an important stop for visitors interested in Lithuania’s cultural heritage and Jewish history. The restored cemetery is open daily to visitors except Saturdays and Jewish holidays. "Most probably it was a sunny and bright morning on August 25, 1941. That was the last morning that Šeduva Jews gazed at the Lithuanian sky and saw the sun. Supervised by German Nazi officers, local neighbors of Šeduva Jews became their executioners here and in other places. "Seventy years and even more were needed in order to become a witness to this small miracle of the victory of humanity. We are here because we will never forget our sisters and brothers. We will never forget how they lived and the way they were brutally murdered. It is the duty of all of us—of Jews and Lithuanians alike—to remember and respect the memory in order that the catastrophe which befell Lithuanian Jews would never occur again. To remember and respect—it is our common duty. No matter where Litvaks live—in Australia or South Africa, Israel or Switzerland, Belgium or Canada—we always remember where we came from, we remember our forefathers, and we will never forget or allow them to be forgotten. Murderers could not kill our memory. We are back because our memory is stronger than their bullets. And memory will always prevail. "We wish to thank everyone who made this project a reality. We wish to extend our gratitude to every worker who made these stones become a memory. We are here in order to remember the life and death of the innocent who have been murdered. God bless their memory. Yhie zichram Baruch. Amen. "Today is the second day of the Shavuot Jewish holiday. Since there are more than ten Jewish men present, we are obliged to say a Kaddish for those who perished. I kindly ask Mr. Simas Levinas to start the prayer."